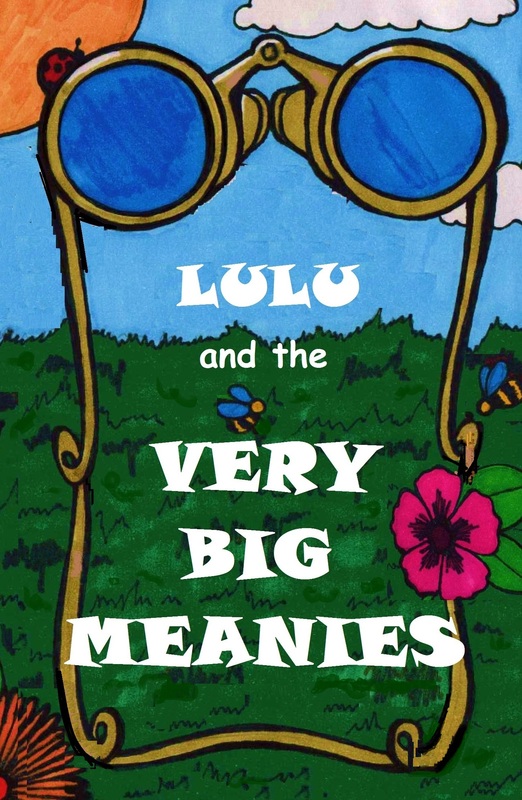 Lulu and the Very Big Meanies has gotten a couple very nice reviews for Multicultural Children’s Book Day! 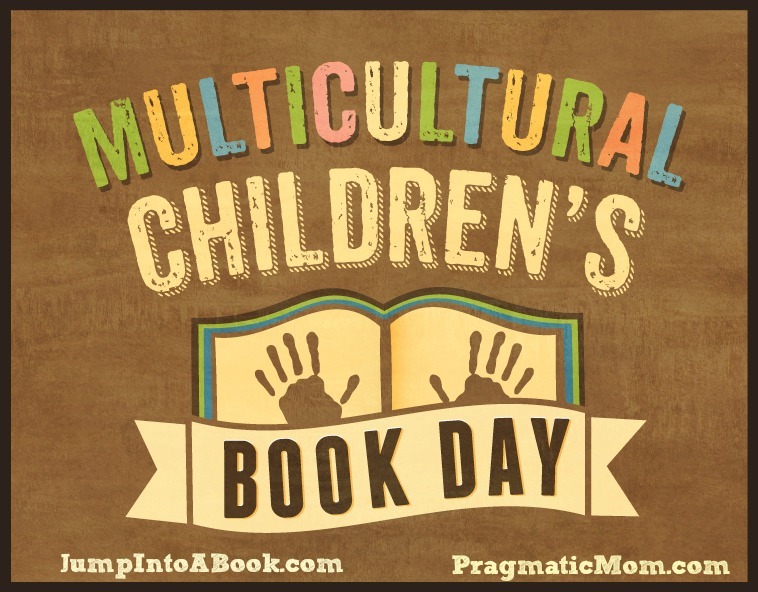 Multicultural Children’s Book Day takes place January 27, 2015! This piece was contributed by Pam, the Unconventional Librarian. This was a super cool review, as she created a Word Search to go with it. This puzzle features a whole bunch of Muslimy words, including kosher! Make sure you check out these blogs and other participating bloggers who are participating in MCCBD. 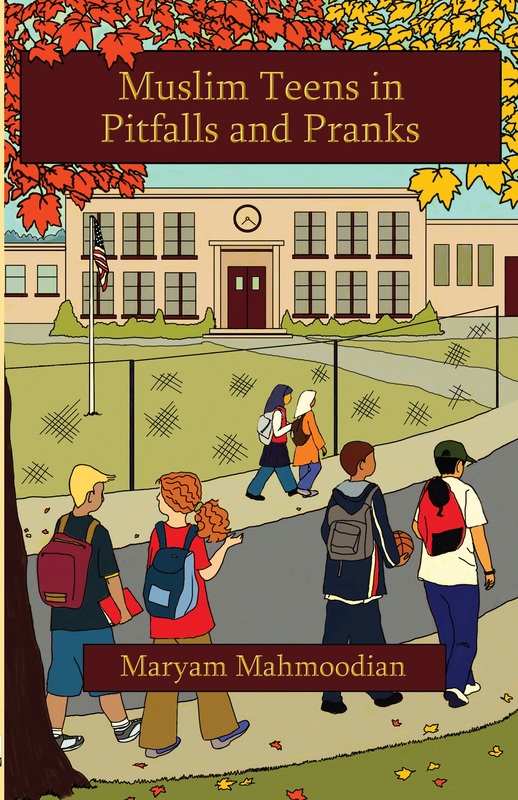 So many great books that feature diversity are being reviewed. Disclosure: These books were supplied to the reviewers in order to conduct the reviewers. Over at the Karims’ house that evening, Ibrahim was sitting alone in the bedroom that he shared with his older brother, Saad. Saad was a freshman in college who also worked part-time at the local Blake Brothers Bookstore. As Ibrahim began working on his English homework, he debated whether to call Christy, the girl who had stopped by his locker that afternoon. He was really tempted to, especially since Saad would be at work until 9:00 pm that night, so he had their bedroom all to himself. He could hear Nur and Elham talking next door. For the past year, Ibrahim had been almost infatuated with the idea of being a member of the “popular” crowd in his class. He also really wanted to have a girlfriend. It seemed like all of the popular guys had really cool girlfriends. Of course, Christy, being one of the cheerleaders, hung out with that group of kids. After fifteen minutes of unfocused reading, he decided to make the call. He went out to let his parents know and found them talking in the kitchen. “Hey, Mom, Dad, is it okay if I use your phone? I want to call Ali,” he said. Ali Hussain was one of his friends. He was one year younger than Ibrahim. “Sure. Is there some reason you don’t want to use the phone in the family room?” Mr. Karim asked. “Well…” His mind scrambled for a reply. “If Nur hears me, she’ll interrupt us so she can talk to Nadia.” Nadia was Ali’s older sister. Ibrahim walked into his parents’ bedroom and then took the cordless phone into his own room. After closing the door and laying back down on the bed, he quickly dialed the phone number before he lost his nerve. “Hello,” said the girl at the other end. “Hi, is this Christy?” he asked. “Nothing. What’s up with you?” she replied. “So do you still need help with that?” Ibrahim asked her. “Kind of. But I don’t really care about biology. I’ll do okay. Mrs. King likes me. I really just wanted to talk to you,” Christy said. Ibrahim could almost picture her, sitting in her bedroom, talking on her cell phone. He hoped none of her friends were there with her. “So what do you want to talk about?” he asked, trying to sound casual. “No, but I’m asking you. I really like you, Ibrahim. I want to go out with you sometime,” she said. “Bye.” Ibrahim hung up the telephone. He leaned back against his pillow to think. That evening, Khalid was at his part-time job as a cashier at Super Foods, one of the grocery stores near his house. Usually he worked one or two evenings a week (less during soccer season) and on the weekends. However, because this was a short week of school, he was picking up some extra hours. The store was open on the morning of Thanksgiving and the Friday after as well. He had offered to work on both days, so he would get the extra holiday pay. Whatever he earned went to his car insurance and gas, and anything left over he put into a savings account for college. He knew he wouldn’t be able to save enough by the time he graduated in one-and-a-half years, but he hoped that with one year of full-time work after that, he would be able to start his studies. Any time he could pick up extra hours, he tried to take advantage of it. All afternoon, the store had been especially busy, but now that it was later in the evening, things had slowed down. As he worked, Khalid thought back to the end of the school day when he had seen Ibrahim talking to a pretty blonde sophomore at his locker after school. She had appeared to be flirting with him and had touched his arm several times during their conversation. Khalid had meant to call his friend and make sure every- thing was okay. 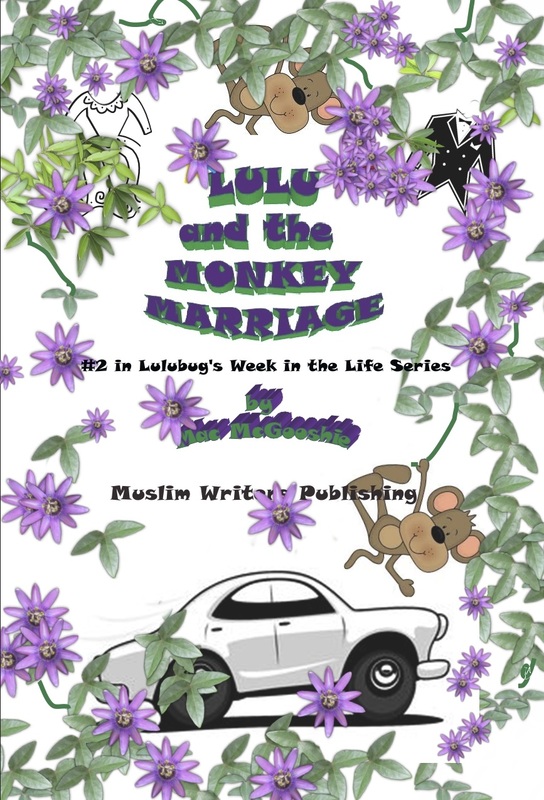 He worried about Ibrahim because he knew that sometimes his friend struggled to balance his religious beliefs with his desire to fit in and be popular at school. Khalid kicked himself for not taking the time to call Ibrahim before he came in for work. A woman with a cart full of groceries came to his cash register, and Khalid busied himself ringing up her purchase. As she pushed her cart away, his supervisor approached with some change. James was one of two supervisors at Super Foods, and he got along really well with Khalid. He was in his mid-forties and liked to discuss history and to learn about different languages. He was always asking Khalid how to say things in Arabic. Plus, he pronounced Khalid’s name perfectly, unlike most people who called him Kaleed. “Mr. Khalid, what’s up? Are you making a lot of money for us tonight?” James greeted him. “Of course. I only recommend the most expensive products,” Khalid joked. He turned off his light. “Wow, that was so nice of him.” Khalid was genuinely surprised. He clearly remembered the incident. He silently reminded himself to thank Mr. Martin the next time he came in. Khalid had learned long ago to take these kinds of comments in stride and not to let them bother him. He knew they were just ignorant teenagers. James, however, was incensed. “I’m sorry, what did you just say?” James demanded. “Nothing,” one of the boys smirked. The four teenagers silently filed out the doors, muttering to themselves. With that, several of the customers waiting in line began applauding. James nonchalantly went back to filling the coin slots, and Khalid, slightly embarrassed from all of the attention, turned his light back on. As Khalid continued to work, he thought about the incident. He thought the students were younger than him, probably sophomores. In general, he got along very well with everyone, especially since he was one of the best soccer players on his high school team and he was active in the student council. He was actually fairly popular, although he had experienced the occasional racist comment regarding his religion and country of origin. But, like most of the Muslim teenagers he knew, it was just something you had to put up with. He had never thought to react as angrily as James had that night. The grocery store was open twenty-four hours, but Khalid always finished work at 9:00 pm or 10:00 pm. That night it was 10:00 pm. Just as he was clocking out in the break room, exactly as promised, James showed up to walk him to his car. They slipped out the back door and into the employees’ well-lit parking lot. Generally, most of the other employees underwent a shift change at 11:00 pm, so Khalid usually left by himself. He had to admit, it was kind of nice to have some company for a change. “So are you still trying to learn Arabic?” Khalid asked, changing the subject. Khalid laughed, too, as they approached his car. “You, too.” Just as James turned to walk back inside, a car playing loud music suddenly screeched to a stop at the end of the parking lot. One of the people inside on the front passenger side threw something at them from his open window and then shouted, “Look at your new sign, terrorist lovers!” The car raced away. James noted the license plate number, and he and Khalid looked up at the store sign. Just then, Khalid noticed that object that had been hurled at them was throwing sparks. It was a firecracker. “James, watch out!“ Khalid shouted, pushing his supervisor back as it suddenly exploded. He turned his face away and tried to shield James as well. “We don’t want to make trouble or make things worse,” Khalid protested. “Yes, but I’m still calling the police. Go on home. I’ll talk to them,” James told him. “Okay.” Khalid unlocked the door and climbed into the driver’s seat of his 1992 Toyota Corolla. He felt really drained, like he had worked more than just six hours. Plus, he was still kind of shook up. He started the car, still in a fog, and headed home. When Khalid arrived at his house a few minutes later, his parents were still up. They usually waited up for him when he worked. “How was work?” Mr. AlAmery asked in Arabic as Khalid slipped off his shoes and joined them in the family room. His mother muted the television. Although both of his parents spoke English, the family still always spoke in Arabic at home. “Well, I hope that they find those teenagers and punish them,” his father declared. “Yeah, I am tired,” he admitted. He headed up to the bedroom he shared with his younger brother. Where to get Muslim Teens in Pitfalls and Pranks! Ask one of your parents if it’s okay to go on these websites. Veeeerrrrrrryyyyy interesting…. The Chrome-Lego Build Academy lets a kid build stuff with Legos, but on the computer. This is kinda cool. It asks for login info, but you don’t have to log into anything. Just ask your mama or baba to show you how to do that so you don’t have to give up any privacy. Your mama will be happy not to step on Legos that you forgot to clean up. 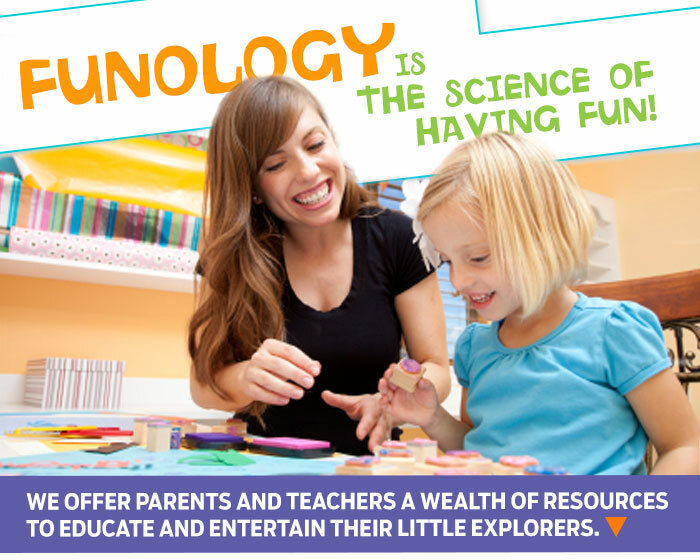 Funology— weird name, cool website. You can find science stuff, magic tricks, jokes, games and recipes on this website. It’s a pretty good place to go when it’s raining outside and you don’t feel like reading a book. NASA. Need I say more? Okay, maybe I do. NASA is the National Space and Aeronautics Administration, and the website is their kids website. There are games, but there are also a buch of cool things to learn, and if you really love space, you can check out the adult side of the website, too. Are you looking for my stories? Links can be found below the book covers, in print and on Kindle. Hope you enjoy them, insha Allah! The Quran says that Allah (subhana wa ta’ala) taught Adam (alaihi salaam) the names of all the animals. As many weird animals as there are in the world, I think that’s amazing. Like Baba says, it’s something to think about. Here’s hoping that everyone reading this is in good health, spirits and faith, insha Allah. 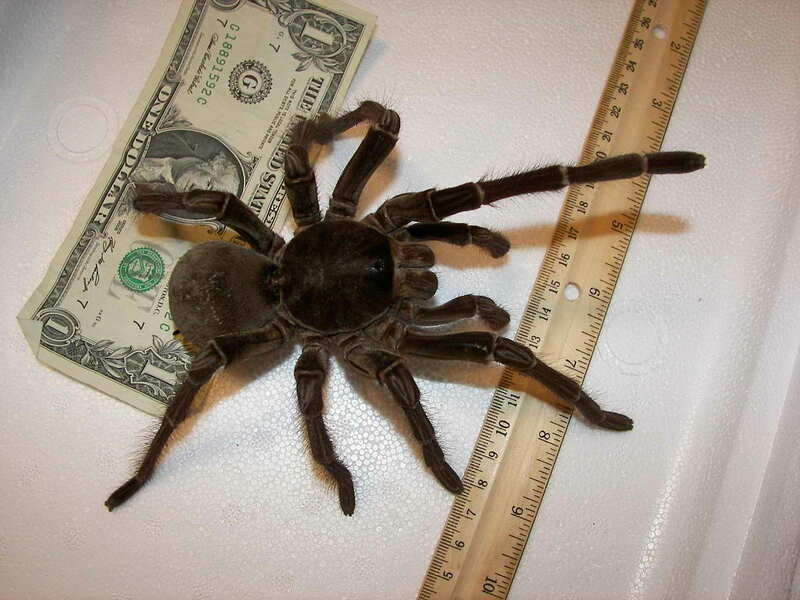 Meet my new pet Goober, a goliath birdeater spider. Just kidding. This is NOT my pet. I think Cutie would run away if he saw this wearing flea collar! (Credit to Wikipedia, Flickr and Snakecollector for the pic)! I was searching for a topic for my next biology project, and came across a couple interesting articles. Subhan Allah, the animals look so bizarre. Cutie looks so ordinary in comparison. That’s not a bad thing for Cutie, though, because I wouldn’t let any of these things in my house, let alone sleep in my bed. Here is the National Geographic page, which shows a ginormous insect called a giant weta from New Zealand, an aye aye and a good picture of star-nosed mole. At the Mother Nature Network, the pic of the aye aye will make you shudder. Early Saturday morning, Mama, Baba and I were extra careful not to wake Darlene and Charlene up during fajr prayer. “Fajr” means “dawn,” and that’s the first prayer of the day for a Muslim. I made wudu even more quietly than usual. I wasn’t about to give up my HWTM title if I could help it. “Making wudu” means cleaning up for prayer. “Wudu” is the Arabic word for “ablutions,” which is an extra fancy way of saying “cleaning up for prayer time.” It is not hard at all to do, but little kids need a little practice. Me? I’m a pro. I use just enough water, and not too much. So when I was done making wudu, I dried off the bathroom sink with a little towel and checked the floor for splashes. No one wants to slip on a wet bathroom floor, especially not my houseguests. After praying, Mama and I made breakfast– fruity pancakes and turkey sausage. Baba Ganoogie yummo! Darlene and Charlene came down when they smelled that! They were very polite houseguests because they said “please” and “thank you” and offered to help Mama clean the kitchen when they were done eating. Mama ate with us, but Baba took a plate of food and a cup of coffee out to the front porch so he could give Charlene and Darlene some privacy. I snuck out to Baba for a minute, and not just so I could get out of cleaning the kitchen! “Habibti , I’m just giving our houseguests some privacy. You’ll have me back in a couple days, insha Allah.” Exactly as I thought. Yes, I knew I was acting a little babyish, but I wasn’t worried. First of all, it is just so much easier to get away with being naughty with Baba than with Mama. If I acted like that with Mama, she would ground me until I had children of my own. But Baba likes it when I act jealous of his time away from me. It’s our little game. Second, I really did want my Baba. He is just the best, and he works so hard every day. Sunday was supposed to be MY special day since Mo and Sho were gone. Baba gets me cotton candy and usually wins me a big stuffed animal at the fair. One year though, he spent a bunch of money at a game and couldn’t win, so he talked the man into letting him buy one for me. See? How many people would do that? My Baba is fabulous! “I know you want the fair, Habibti, but it will just have to wait, insha Allah. Hey. Come with me to the bank. I need to make a deposit before it closes. We can get a smoothie and some cash for you and your Mama, too, since you’re going to Riverside in a few hours.” Well, that’s the end of that discussion, I thought, and put on my sneakers. I’m in the mood for a red sucker anyway. But then the most amazing thing EVER happened at the bank. Stupendous. And scary for Ms. Joyce. That wasn’t the amazing part. A monkey was driving the getaway car. I think it was the getaway car, anyway, and it was definitely a monkey in the driver’s seat, but no one believed me. When I crossed the parking lot to the bank, all of a sudden there were police cars everywhere– from the county, town and state. Sirens screamed, blue lights flashed, and the police all got out of their cars and started yelling. I froze, and instantly thought of Baba. Oh no! Is Baba safe? Did someone mug him for the deposit? So I looked and looked for him while the crowd in front of the bank got bigger and bigger. Everyone in the county apparently had to come and see what the fuss was all about, including Jody, who was supposed to be making my smoothie. It took me a minute to finally spot Baba, who was rubbing his elbow, but the police wouldn’t let me through. When I saw that Baba was talking to Bobby, my favorite police officer, I stopped worrying and took a seat on the grass. Bobby was a good egg. He’d have Baba in an ambulance alatool if necessary. After a few minutes, Mama came running from home and found me, and we waited for Baba together. When Bobby finally let him go, Baba called Mama with his cell phone so he could find us in the crowd. “Baba! I was so worried about you! What in the world happened? Did you get mugged? We’ve been so worried and we’ve been waiting for hours!” I yelled, exaggerating a little bit and hugging him a lot. And I forgot all about the monkey. Did you know that animals can help bring good relations between countries insha Allah? Especially pandas? It’s true. In 1972, President Richard Nixon went to China during the height of the Cold War. (Your parents can tell you about the Cold War, insha Allah.) The United States, being a capitalist and democratic country, didn’t get along with China, which was a communist and non-democratic country. But President Nixon thought it was a good idea to try. And China said “Okay, come on over and visit.” And the US and China didn’t become perfect friends, but no one is perfect. And, you have to start somewhere. So, what does this have to do with pandas? Well, as a goodwill gift to the United States, China gave two pandas to the National Zoo in Washington DC, the most awesome zoo on the planet, masha Allah. Those pandas’ names were Hsing Hsing (sounds like Sing Sing) and Ling Ling. They represented the new friendship between the US and China. The giant pandas were agents of diplomacy. Diplomacy means figuring out a way to be cooperative and friendly, even if it is not easy. 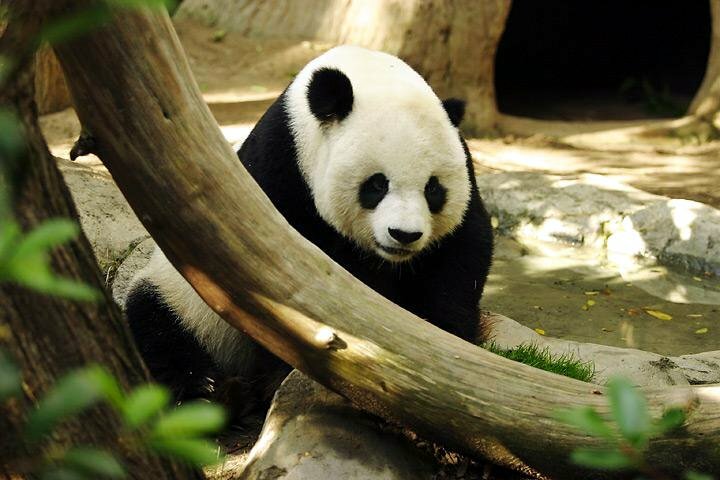 Today, there are a few zoos in the US that have pandas. This link (http://www.giantpandazoo.com/panda/) goes to a panda place, where you can find info about the brand spanking new panda at the National Zoo. It is a cute little thing, but it sure doesn’t look like a panda bear yet. Peace is best. Allahu alim. I hope everyone’s Ramadan is going well and that everyone’s fasts are acceptable to Allah. Didja ever fly into the United States (on an airplane and not by flapping your arms ) and wonder why the the Customs agent asked if you and your parents were bringing any seeds or plants into the country? Well, there is a very good reason for that! Wild animals in different parts of the world have things that keep the population in check. This cane toad (from Wikipedia Commons) is native to South America, and other cane toads are native to North and South America. Well, someone got the bright idea to take about 100 cane toads to Australia to eat some pesky bugs there, and you know what happened? The toads started multiplying, and there are about a million there now! What happened? Well, there are no animals to eat the toads in Australia, because you know what? They’re poisonous to most animals! But, there are many animals that are native to North America and South America that like to eat cane toads and won’t get hurt by their poison. (Before you ask, “Why not just take some of those animals to Australia too?” do what Mama would say and think that one out to its logical conclusion.) Here’s more information from National Geographic about cane toads. So what about plants? The same type of thing can happen– but the natural enemy could be the animal that usually eats the plant, or it might be a microorganism that doesn’t exist in the new habitat. Or, it could be something that the plant has that helps it just survive in its old habitat, but go nuts in its new habitat. 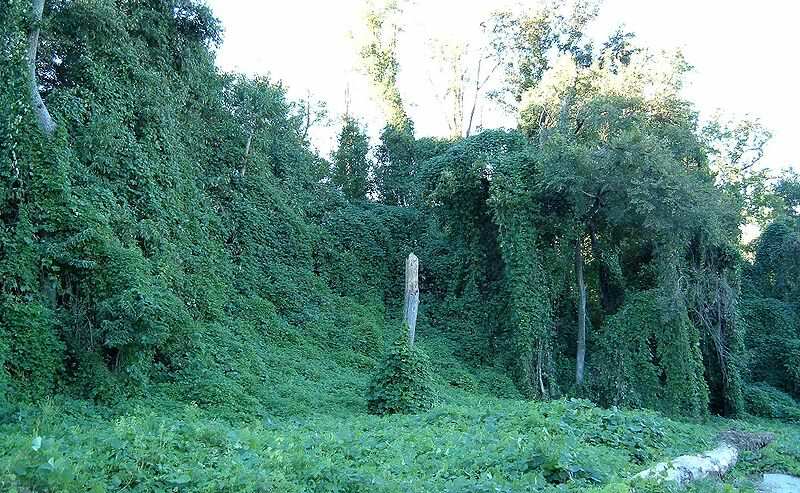 Have you ever seen kudzu? If you have ever visited the Southeast, you probably have. It looks like ivy and it coats almost everything it touches– homes and trees and ground cover– it’s not picky. It can grow a foot a day, and it smothers every plant it touches. Well, kudzu was brought from Japan. Unlike many American plants, it developed a “symbiotic relationship” with American bacteria that produces nitrogen. “Symbiotic” means something like “you scratch my back, and I’ll scratch yours. The bacteria lives off the kudzu, and the kudzu uses the nitrogen that the bacteria produces to help it to grow and to spread like crazy cuckoo. So, special steps need to be taken to keep the amount of kudzu down. It’s used for animal grazing and to keep soil from eroding, but really, there’s waaaay too much of it. Subhan Allah. Asalaam alaikum! This post is about recycling water bottles– my friend Cara Kareema wrote this to deal with all those bottles left after Iftar at the masjid. Jazak Allahu khair Cara! My grand Idea- so like it, share it, and then do it! There are a few simple things we can do. 1. Make signs and designate certain garbage cans as recycled only. 5. Encourage our kids running around the grounds to “pick and pour” get the water bottles from the tables, pour the remaining water from the containers. They will be more than happy to pitch in, last year 10 boys helped me in this effort and they were very enthusiastic about this project. 6. Teach our children the benefits of doing good deeds and caring for nature. As more of us recycle, our environment will gradually improve and there will be less of a demand for potentially harmful plastics that are not safe for us in the first place. Did you know that the FDA completely exempts the oversight of water that is packaged and sold within the same state? That means 70% of the bottled water we drink are not regulated by the FDA. Bottled water has been proven to contain Bisphenol A, or BPA, and some have been found to leach toxins and chemicals into the contents of plastic bottles. It is to imperative that we stay mindful of all of the consequences of using and wasting plastic water bottles. Lets start thinking green and doing our part during Ramadan and in our every day lives by recycling. We’re gearing up for Ramadan, and Mama asked me to go online and find out what’s Sunnah for reading the Quran during Ramadan. It turns out that we are supposed to read the entire Quran during the month of Ramadan, one “juz” a day. That is a lot of reading! What’s a juz”? There are thirty parts of the Quran. Each part is called a “juz.” In the Qurans that are printed in some countries like Saudi Arabia and Egypt, there are a little over 600 pages. So, a juz is about twenty pages. Can we do it? Insha Allah. But we say “Bismallah Ar-Rahman Ar-Raheem” first! There is a lot more to know about the Quran. Insha Allah, you can find a lot of facts about the Quran at IslamWeb’s Kids Corner. Of course, ask your mama or baba first before checking any new website.